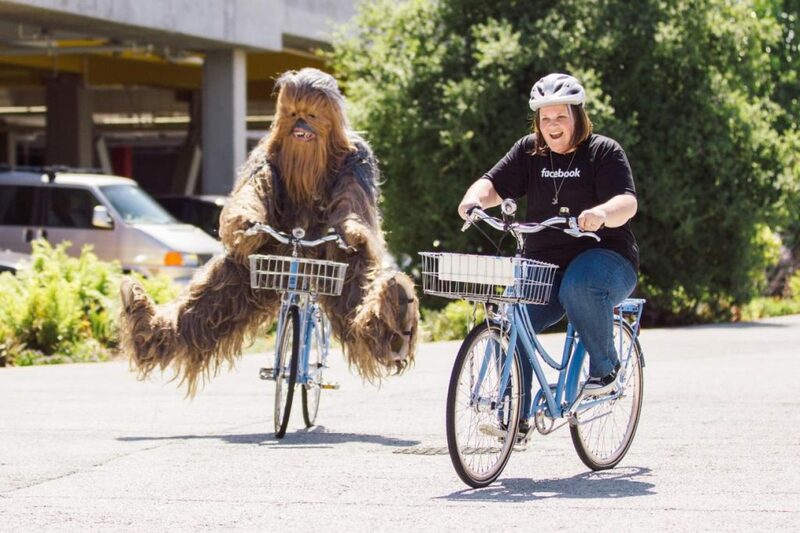 “Chewbacca Mom” – Decoding Viral Magic! Unless you have been living in a cave these past few days you have most likely heard of Candace Payne, better known as the ‘Chewbacca Mom’ who is responsible for creating the most viewed video on Facebook Live! 149 million at the time of this writing! Far greater than the second most watched video which hovers around 12 million by Channing Tatum! Yes both Channing Tatum and even JLo for that matter with 8 million views couldn’t come close to this Texan Mom combined! So what’s the big deal? The power of human emotions can never be overstated! What’s at the core of this viral sensation is authenticity of emotion. Before breaking into a hysterical laugh Candace is all heart! From the reference to her “oversized” yoga pant return to the fact that this video is a testament that this “Chewbacca Mask” was hers and hers alone – a treat to herself for her 39th birthday she is authentic and shares her simple joy as candidly as only she could! But the real magic is when this authenticity gets a chance to project itself on the world. What other platform to do it other than Facebook with a potential audience of more than 1 billion people! Facebook not only brought the scale but with Facebook Live it made “real-time” possible for anyone! What do you get when you combine real-time authenticity with scale! Pure magic! And magic it has been for Candace who has had the craziest week of her life. In three days since the video hit the 140 million mark she has been on the James Corden show – met with JJ Abrams himself. Got smothered by Kohl’s who jumped on the opportunity to make this birthday even greater by loading her with a whole lot of Star Wars goodies for her family plus thousands of dollars in gift cards and more turning her birthday into probably her best ever! So what does this mean for marketing! The control that consumers were given at the dawn of the digital age has been taken to a whole new level! Not so long ago the way to reach the world was just through a 140 character tweet! With YouTube expression went audio-visual enabling the long tail of talent to surface! Instagram made a photographer out of anyone with a smartphone camera! Snapchat went as far to make the mundane interesting through the power of stories and moments! Facebook Live seems to have combined the best of them all – giving the tools, the instantaneity and the scale to anyone with something meaningful to share! Can such content be recreated as a marketer? No! But can such platforms be leveraged to enable such content to bubble up! Yes! Brands can utilize the tools and platforms available to everyone today to enable their most passionate consumers to participate and share! Is it going to be easy? No…but then not everyone is a marketer! In case you didn’t get a chance to see all her videos….here they are for your viewing pleasure! Enjoy! The one that got it all started! Candace Payne driving James Corden to work! And probably a lot more to come!